“The administration is going to stay extremely firm on this. 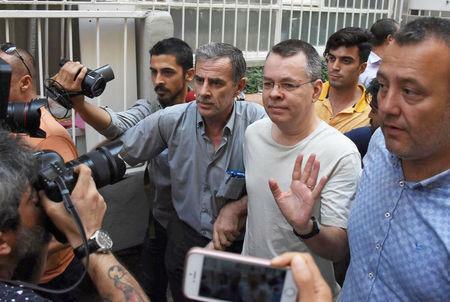 The president is 100 percent committed to bringing Pastor Brunson home and if we do not see actions in the next few days or a week there could be further actions taken," the official said. Relations between Turkey and the United States have been soured by Brunson’s detention, as well as diverging interests on Syria. Trump doubled tariffs on imports of Turkish steel and aluminum last week, contributing to a precipitous fall in the lira .